We did it fam – we made it to the end of the year. It might have been a blur, but we all deserve a pat on the back for making it through. Before we can get into the Christmas spirit, there are some orders of business that must be attended to. We’re talking about our final vibes round-up of the year, of course. We couldn’t let 2018 fade out without celebrating some of the incredible things we’ve noticed recently, from dog-friendly beer, the future of recyclable coffee cups and innovative luggage solutions. So here it is, folks – everything we’ve been vibing on over the past month. There will be some of you out there that firmly believe that spoiling one’s pet shouldn’t extend past an extra Schmacko for good behaviour. Others think that their pooch is an important part of the family, and should be treated as such. Well, the minds behind acclaimed brewery operation Brewdog seem to fall firmly in the latter category, having just announced the world’s first craft beer for dogs. The Subwoofer IPA is an alcohol-free, hop-free, non-carbonated beverage for pooches of all kinds. It has been made using wort from the brewery, and boasts a hoppy and meaty element – full of B vitamins and probiotics. The Subwoofer IPA is currently only available in the UK, but seeing as Brewdog will soon be based in Brisbane it’s not too farfetched to hope for in the near future. At this point Robot cafes are nothing new – especially if you live in Japan – but a new cafe operated by controlled robot waiters is doing something rather special. Ory, a Japanese startup specialising in robotics for those with disabilities, has developed a robotic waiter that can be remote controlled by paralysed individuals from home. In conjunction with NPO Nippon Foundation and airline ANA, Ory has opened a pop-up cafe in Tokyo, employing a staff of ten people with conditions such as ALS or spinal cord injuries. These individuals pilot the robots, commanding them to move, look around, speak and handle objects using an intuitive system that can be operated regardless of disability. Each staff member is earning the standard wage for part-time work in Japan, affording him or her a newfound independence. It’s the holiday season, so many of you probably have trips planned to exotic locales or even interstate to see family over the festive period. 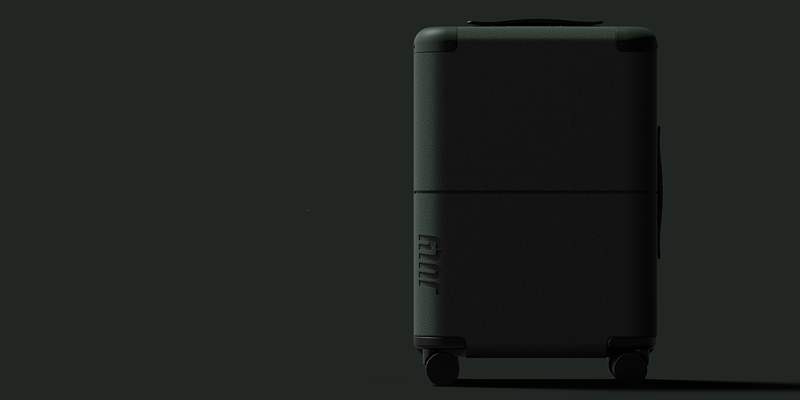 If you’re packing light, you might want to check out this marvel of travel technology. July is being hailed as the next generation in luggage – a Melbourne-made piece of carry on luggage that is packed with an impressive array of mod cons. The hard-cased carry on that boasts a suite of handy features, including an ejectable battery with USB and USB-C docks to charge laptops and phones, a durable exterior made from aerospace-grade German polycarbonate, SilentMove 360-degree spinner wheels, a soft-touch grip telescopic handle, hidden integrated laundry bag and a TSA-approved combination lock. Sound pretty impressive, right? If you take your travel seriously, this is the piece of luggage you need. Coffee and whiskey lovers have a lot in common – for a start they both love the intricacies and flavour of high-quality sips, and now both parties can meet in the middle with a product that combines elements of both. 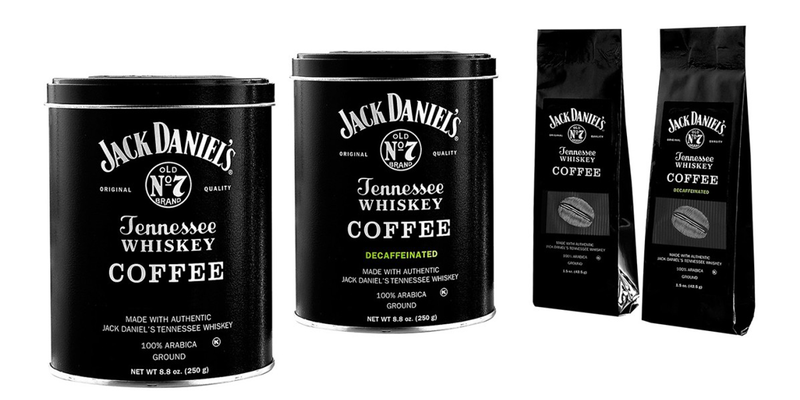 Jack Daniel’s has just released its own whiskey-imbued coffee, offering a full-bodied taste of the whiskey brand’s Old No. 7 Tennessee whiskey and the pep of 100-percent Arabica beans. The beans are soaked in whiskey, but don’t worry, you won’t be legless after a few sips – the roasting process removes the alcohol content from the beans themselves, leaving just the iconic flavour of Jack Daniel’s that whiskey lovers are familiar with. The Netflix streaming boom has led to an avalanche of unique and interesting media hitting our screens, but until now none of Netflix’s original content catalogue has been Australian made. Tidelands is the name of the first solely Australian production to be added to the streaming giant’s portfolio, filmed in Queensland. The story revolves around Cal McTeer, an ex-con who returns to her hometown of Orphelin Bay to unveil a conspiracy surrounding murder, drugs and the existence of the half-siren, half-human race known as Tidelanders. The show features a host of Aussie talent, including Charlotte Best, Madeline Madden, Caroline Brazier and Peter O’Brien, as well as Elsa Pataky, who we admit is Spanish but is married to Chris Hemsworth, so she’s as true blue as any of us. Tidelands will be available to stream from December 14.